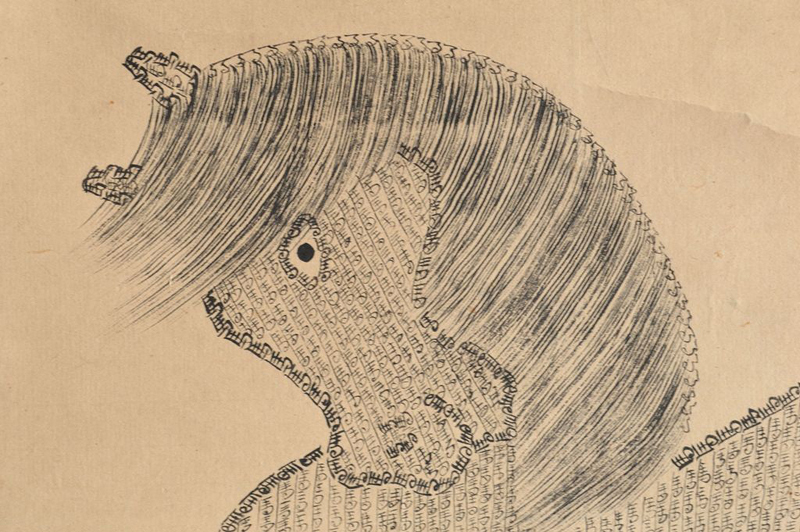 PAINTING OF HORSE BY HORSES (Dealer: titcoRet) – Quite a unique hanging scroll with horse painting on paper composed of only countless calligraphy letter of ‘uma’ (lit.’horse’) of Chinese character, except the parts of mane, tail, hair, and eyes. Sign of Soma Nakamura Shrine which is traditionally related with horses specially for Soma Nomaoi wild horse chase festival. Meiji period (1868-1912), Japan.